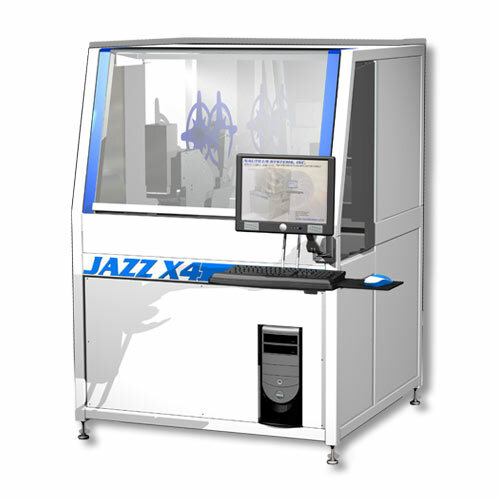 The JAZZ X4 is a configurable automation platform. It incorporates a multi-axis (3 or 4 axes) gantry robot. NSI designs and implements specialized tooling attachments as required to interface with your products during assembly operations. An alternative version of the JAZZ X4 replaces the gantry type robot with a SCARA robot can also be provided.